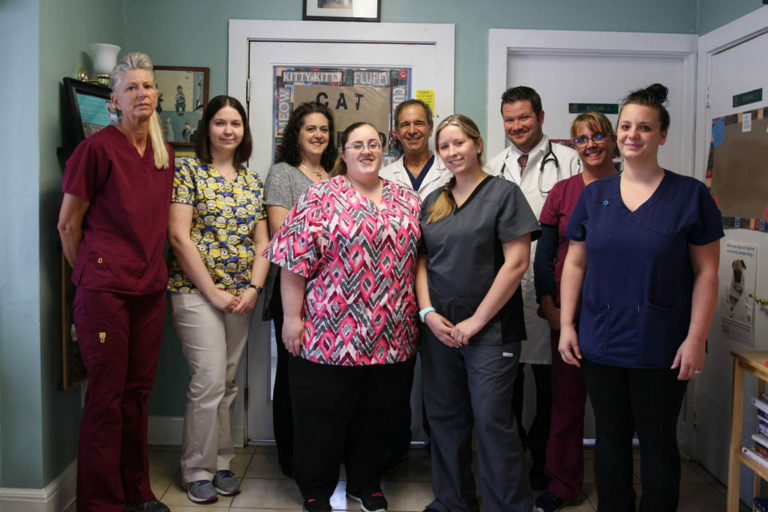 Our mission has been to provide our community with high-quality veterinary services in a welcoming, pet-friendly hospital setting. "The best part of working here is that we work together to create a fun environment to work in. Even on busy and stressful day, we find a way to lighten the mood, laugh, and have fun!" In addition to diagnostic and preventative services, our hospital is equipped with digital radiography, digital dental radiography, in-house labs, CO2 laser, and endoscopy. We also offer TPLO/TTA surgery and exotic animal care. We’re focused on making sure our hospital has the right tools to allow our doctor and medical staff the ability to provide excellent service and care.